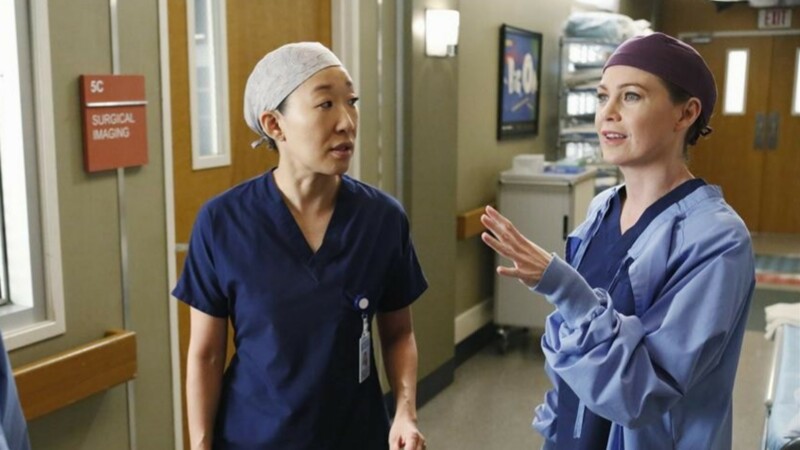 The patron saint of Grey Sloan Memorial Hospital has finally weighed in on whether they’d ever return to the hallowed halls of their former workplace. While on the red carpet to celebrate the season two premiere of her award-winning television series Killing Eve, Sandra Oh discussed whether she would do a Grey’s Anatomy cameo and friend-o’s, this might be a good time to sit down. This is gonna be news you need to brace yourselves for. And, uh, there you have it. It sounds like a definitive, resounding “no” to the idea of Oh ever stepping foot on a Grey’s set again. To be fair, we totally get why Oh is done with Grey’s for good. It’s going on five years since Oh exited the show after playing Dr. Cristina Yang from 2005 to 2014. Yes, Cristina was maybe one of the best reasons to keep watching the show season after season and yes, Oh is an electric actor to watch especially when she’s in Grey’s mode. But she’s moved on to Killing Eve! Heck, she nabbed a Golden Globe for her performance in season one of the BBC America series — a feat she never managed to do while on Grey’s and further proof she is on the right show for her at this time. So, pour one out for Oh, who has moved on to bigger and better. It looks like we’ll need to watch Killing Eve when it premieres this Sunday, April 7 at 8/7c on BBC America.